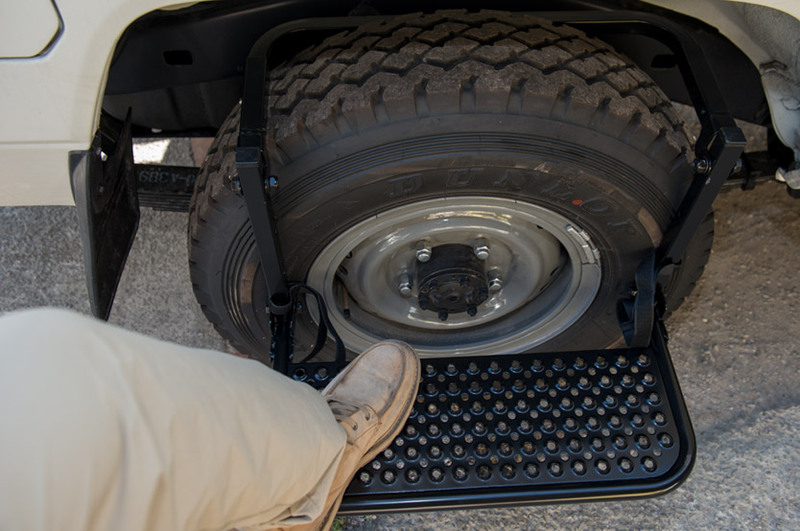 Our Quick-step is a safe and effective answer to roof access without the need for awkward ladders, it simply unfolds and hangs over your vehicle's wheels. 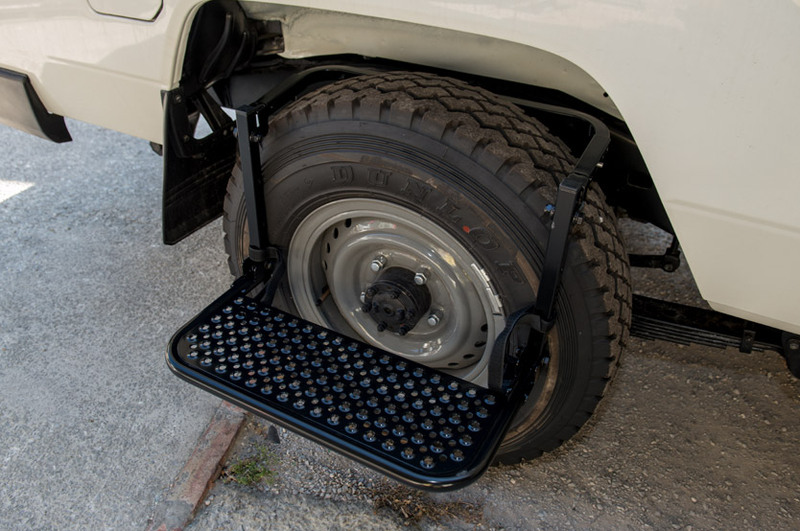 It provides quick and easy access to your vehicle's roof area for loading and unloading of roof racks or roof baskets. This device is very popular with mechanics as they use it on the front wheels of larger vehicles to obtain better access to the engine bay. It is also adjustable to three height and wheel width settings.